Since officially confirming they've got over their writer's block, Peter Bjorn and John have taken the next logical step and announced they're hitting the road. Come spring, the Swedish whistlers will treat North America to a string of tour dates, stopping by Toronto on April 25, Ottawa on April 26 and Montreal on April 27, as well as several U.S. cities. All the dates will follow Peter Bjorn and John's Writer's Block follow-up, Living Thing, which is due out March 31 courtesy of Almost Gold Recordings/StarTime International, and all dates will feature NYC trio Chairlift as the openers. If you're at all worried about snapping up tickets for what will likely become sold-out shows very quickly, you can currently get in on some exclusive pre-sales over at Peter Bjorn and John's website. However, you will have to pre-order a copy of Living Thing to access the ticket sale. 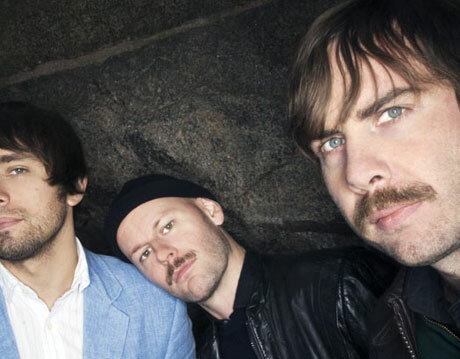 Peter Bjorn and John "Lay It Down"